Future Unfolding is an action adventure where players can explore a forest filled with life, both beautiful and dangerous. 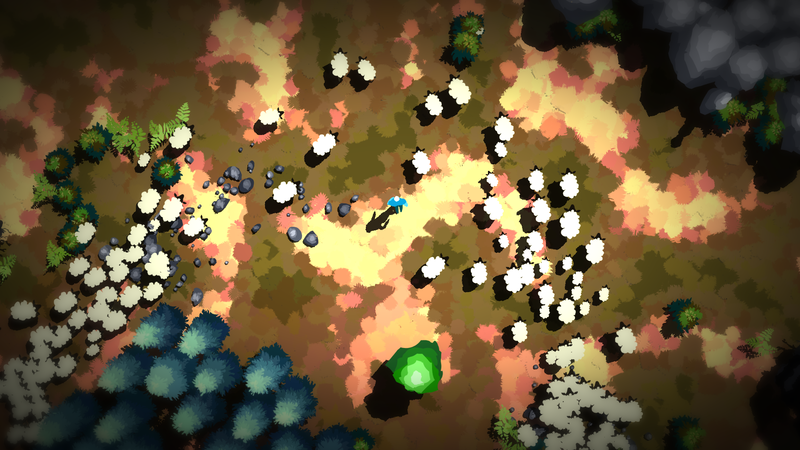 The world is procedurally generated – each player will experience a new realm with unique secrets and puzzles. As one explores the world players will encounter various animals. The animals can be friendly or dangerous. Helpful animals guide and give access to new abilities, while hostile animals will hunt players down, but without weapons one’s only option is to outsmart, sneak past or outrun them. Every object in Future Unfolding is made of dynamic particles and can transform, move or blend into something else – even the ground. Players can push through the trees in the forest, can dash through grass to destroy it, and move every stone in the game. All animations are hand-drawn frame-by-frame and use our custom technology to create dynamic 3D shadows. Future Unfolding is nominated for the Creative Gaming Award in the category Most Creative Game.